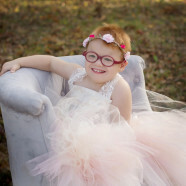 Monday, March 25, 2019 4:00-8:00 p.m.
Tuesday, March 26, 2019 10:30 a.m.-1:00 p.m.
Fallon Grace Schlautman, age 4, of Beckemeyer, entered into rest Thursday, March 21, 2019 at SSM Cardinal Glennon Children’s Hospital in St. Louis. She was born May 21, 2014 at St. Mary’s Hospital in Clayton, MO, the daughter of Katie, nee Heimbecker, and Kevin Schlautman of Beckemeyer. In addition to her parents, she is survived by her grandparents, Bill Heimbecker of Germantown and Frank and Flossie, nee Varel, Schlautman of Bartelso; great-grandmother, Rita Heimbecker of Wisconsin; aunts and uncles, Shanon (Wendel) Logue of Savannah, GA, Carol (Steve) Deien of Aviston, Willie Heimbecker of Germantown, John (Annie) Heimbecker of O’Fallon, Chris (Kristen) Schlautman of Aviston, Gayle Schlautman of Bartelso, and Michael (Tiffany) Schlautman of Bartelso; numerous cousins, great-aunts, and great-uncles; her home health nurses and dear friends, Karen Richter of Breese and Jolene Kohnen of Aviston, and numerous doctors and nurses from SSM Cardinal Glennon Children’s Hospital and Ranken Jordan Pediatric Hospital who took fantastic care of Fallon throughout the years. Fallon was preceded in death by her grandmother, Sandy, nee Nelson, Heimbecker; and an aunt, Margaret Mary Schlautman. She was baptized at St. Cecilia Catholic Church in Bartelso where she is a member with her parents. Fallon had a contagious giggle and smile, and it showed when she was around her family, or at Hannah’s Playground, working with her therapist, playing with Minnie Mouse, going on walks outside with her nurses, playing with her blocks, and riding her therapeutic horse at Chakota. Fallon loved being a kid. Funeral Mass of Christian Burial will be Tuesday, March 26, 2019 at 2:00 p.m. at St. Cecilia Catholic Church in Bartelso with Fr. James Buerster presiding. Interment will follow in St. Cecilia Cemetery, Bartelso. Visitation will be Monday, March 25, 2019 from 4:00-8:00 p.m. and again on Tuesday, March 26, 2019 from 10:30 a.m.-1:00 p.m. at Moss Funeral Home in Breese. In lieu of flowers, plants, or other gifts, the family asks that memorials be made to Faith for Fallon and will be received at the funeral home.